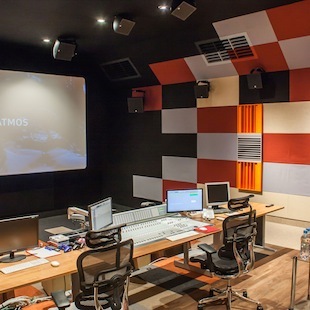 Warsaw-based Dreamsound, one of Poland’s top film post-production studios, is the first post-production house in Poland licensed to produce film soundtracks using the Dolby Atmos surround-sound system. The Dreamsound system is based around Harman’s JBL ScreenArray loudspeakers and Crown DSi and XLS DriveCore Series amplifiers. The Dolby Atmos JBL and Crown system is installed in a new 280 square foot, 15-seat screening room that opened in January 2014. Dreamsound co-owner Kacper Habisiak worked closely with JBL and Crown brand manager Wojtek Kopytek at Harman Professional distributor ESS Audio and with Dolby personnel in designing and installing the screening room. The installation employs a total of 32 JBL loudspeakers including ScreenArray 3731-T 3-way tri-amplified loudspeakers and 4642 dual-18in subwoofers arranged behind the 20-foot wide projection screen in a left-centre-right configuration. JBL SCS 12 and SCS 8 Spatially Cued Surround 12in and 8in coaxial loudspeakers are mounted on the ceiling, side, and rear walls, augmented by two JBL 4181 18in subwoofers. The loudspeakers are driven by a complement of Crown DSi 1000 and XLS 2500, XLS 2000, XLS 1500, and XLS 1000 amplifiers.